Calum MacKellar is Director of Research of the Scottish Council on Human Bioethics, Edinburgh, and Visiting Lecturer of Bioethics at St. Mary's University, London, UK. His past books include (as co-editor) The Ethics of the New Eugenics (Berghahn Books, 2014). Cyborg Mind by Calum MacKellar is available open access under a Creative Commons Attribution-NonCommercial-NoDerivatives 4.0 International License (CC BY-NC-ND 4.0) with support from Knowledge Unlatched. Chapter 1. 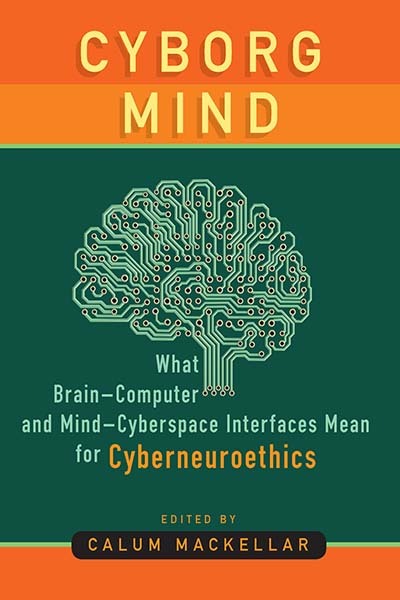 Why use the term Cyberneuroethics?